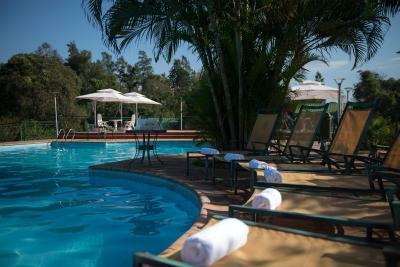 Lock in a great price for Iguazu Jungle Lodge – rated 9.1 by recent guests! 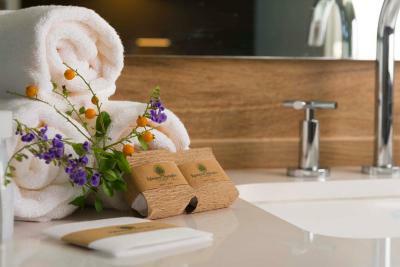 The rooms are very spacious and newly refurbished with very comfortable beds and bathtubs with jacuzzi. You can hear the sound of some small waterfalls from the rooms, providing amazing ambiance. 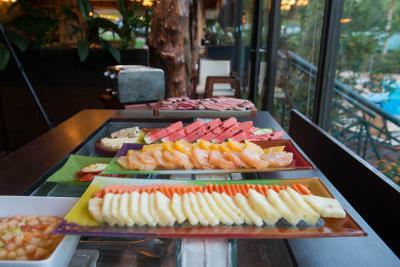 The food in the restaurant is simply amazing - we ate there 4 times (excl the also great buffet breakfasts) and were never dissatisfied. Great breakfast and helpful staff. Comfortable bed. 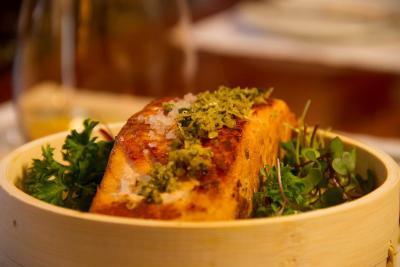 Good food at restaurant. Loved the balcony and jungle scenery! The room and the bathroom were very spacious and clean. Nice balcony with a partial view of a river. Staff was friendly and helpful. We booked transportation for Iguazu Falls and the airport through them and had excellent experience. The restaurant on premises is excellent. 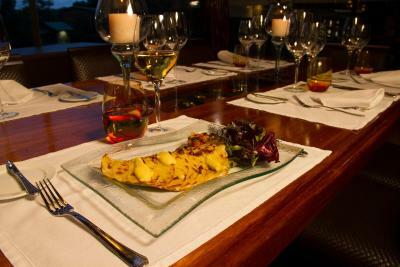 We had dinner twice during our stay and were very pleased with service and the quality of the food. This was a wonderful place to stay while visiting Iguazu Falls. We liked everything about the hotel. 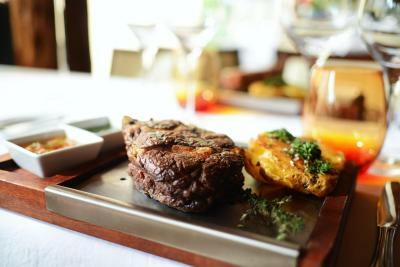 Having a restaurant on site was vey convenient and the meals were excellent. The tour operator at the hotel managed all of our tours and airport transfers.Staff and drivers were friendly and helpful. Wifi is good location is wonderful. 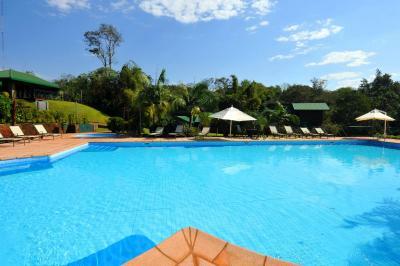 Beautiful property close to Iguazu Falls. 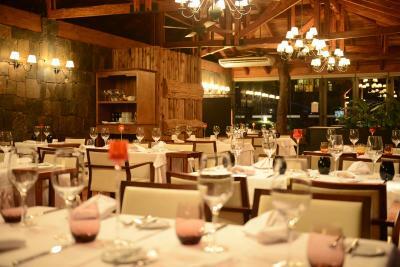 The rooms are very nice, staff is friendly and helpful but the restaurant is the star. 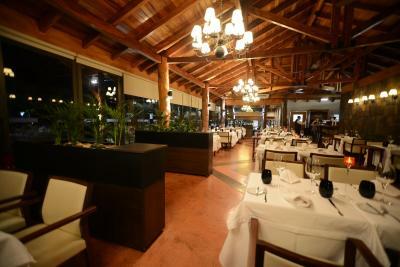 We were traveling for nearly a month in South America and the dinners we had it IJL were the best we had during our entire trip. Breakfast is good. Swimming pool is very inviting. Our Deluxe Room was awesome. 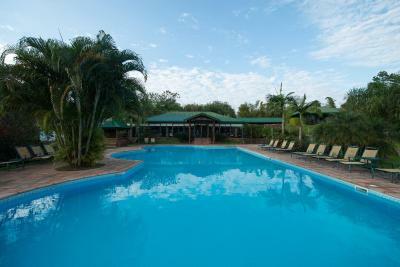 Staff is excellent and the property is beautiful with a very nice location between the jungle and the river. Great value for money. 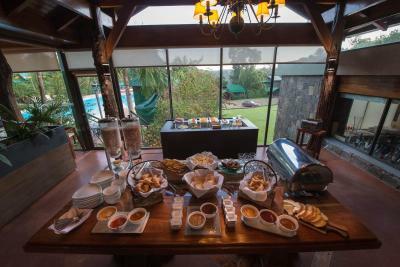 Lovely grounds, friendly helpful staff, great complimentary full breakfast, delicious diner offerings in restaurant. Very clean and comfortable, great amenities and staff super friendly, from front desk to cleaning people, everybody with a smile and ready to help, special thanks to Graciela with our excursion booking, very nice and efficient, and at the pool to Claudio a real gentleman, we are very happy with this place and we are planning another trip with more family. Wonderful service. Striking grounds and restaurant. Room very comfortable and food on the restaurant was really gourmet. Can’t miss. 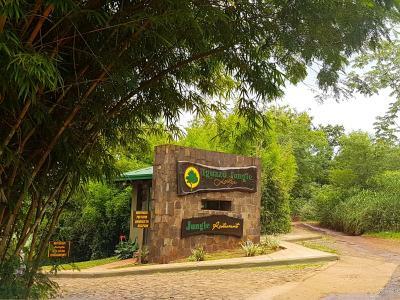 Iguazu Jungle Lodge This rating is a reflection of how the property compares to the industry standard when it comes to price, facilities and services available. It's based on a self-evaluation by the property. Use this rating to help choose your stay! 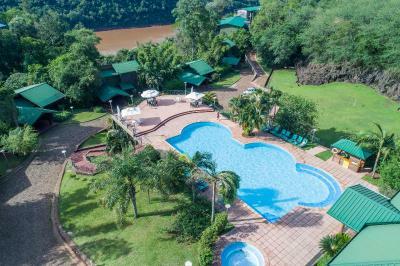 One of our top picks in Puerto Iguazú.Featuring an outdoor swimming pool, a hot tub and rooms with spacious balconies and views of the subtropical rain forest, the lodge is a 10 minute walk to downtown Puerto Iguazu. Wi-Fi and private parking are free. 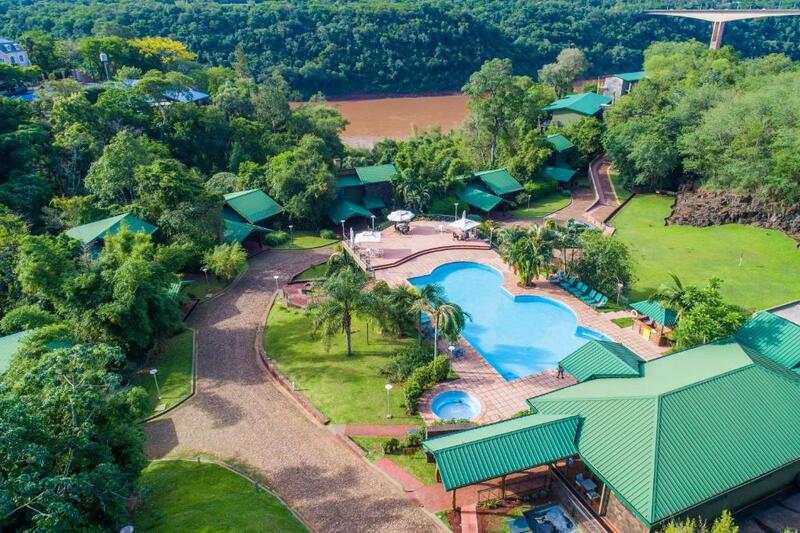 At Iguazu Jungle Lodge guests can enjoy 4-star facilities, sunbathe by the pool and arrange trips to the celebrated Iguazu Falls,10 miles away. 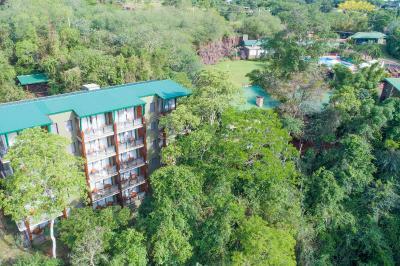 Air-conditioned rooms at the Jungle Lodge are styled in a warm palette and feature elegant wood furnishings, flat-screen TVs and private balconies with wrought-iron lounge chairs. Laundry services are available. 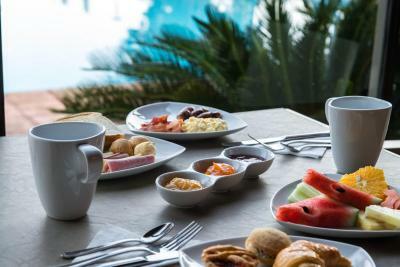 A continental breakfast with seasonal fruits and treats can be enjoyed at the poolside terrace. The bar offers light lunches, fresh juices and snacks throughout the day. Room service can be ordered. Iguazu Casino is half a mile from the lodge. Foz do Iguaçu Airport is 5 miles away. 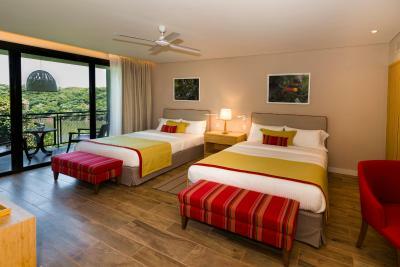 When would you like to stay at Iguazu Jungle Lodge? 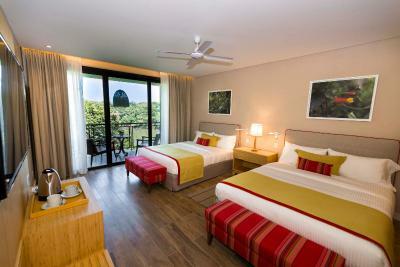 The room features a spacious balcony with a sitting area, a spa tub, flat-screen cable TV and air conditioning. 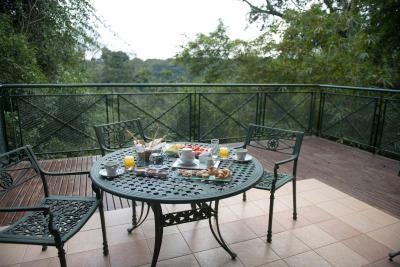 The room features a spacious balcony with a sitting area, a flat-screen cable TV, air conditioning and kitchen facilities. 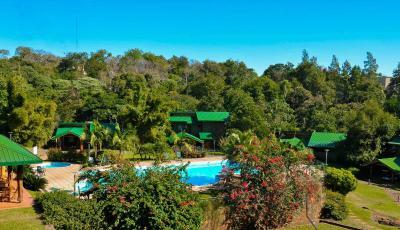 Iguazu Jungle Lodge is bordered by the lush jungle Missionary, a few blocks from downtown. There, guests can fully enjoy nature just by looking over their balconies, between comfort and warmth of their modern environments, where the modern merges with the environment in perfect harmony. The resort welcomes providing visitors the warmest personal attention in a unique infrastructure, suitable both for tourists and Business man. 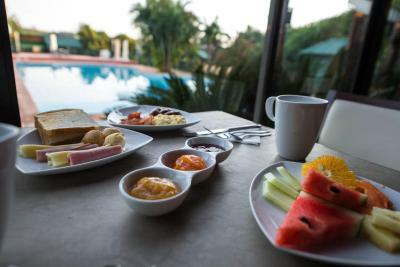 House Rules Iguazu Jungle Lodge takes special requests – add in the next step! 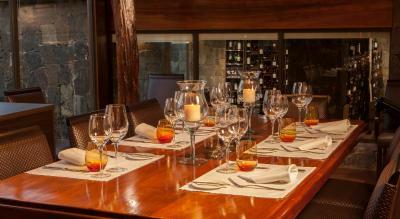 Iguazu Jungle Lodge accepts these cards and reserves the right to temporarily hold an amount prior to arrival. Please note that children stay at the hotel should present the travel permit of both parents if there is only one of them present of none of them. Staff were very friendly, helpful and accommodating. Dinner at the restaurant was very nice and the food tasted great! We’ve loved to have something to complaint about. But we coudn’t complaint. Very nice stay! Staff were excellent and v.friendly. Room was clean and large! The rooms were nice for a family, but the bedding could have been updated in the room with the smaller beds. The pool was nice. The kids liked the clubhouse with the playground. The restaurant was really good. The room was extremely dated, not just in furnishings but in fittings. We were allocated to the wrong room which looked nothing like the one we had booked, a 'loft' although it was essentially a basement accessed through a side door. The kitchen had no equipment, lacking essentials like plates and cutlery, of which you were asked to call reception to deliver. We had no hot water in our apartment until the second night. The noise from building works during breakfast was almost intolerable, although we were made aware of some work before arrival. The staff were helpful and spoke very good English to make up for our poor portugese. Efficient at calling taxis and knowledge about the falls. We were able to leave our bags in reception. Everything. It's just so beautiful and the restaurant is great! Everything. The best hotel I ever been. Staff was super friendly and helpful. The rooms was exceptional, big, modern, contemporary design, great bathroom with jacuzzi and shower. Great tarace with nice view to the river. This is a superb hotel for families with good facilities and a friendly, personalized feel. 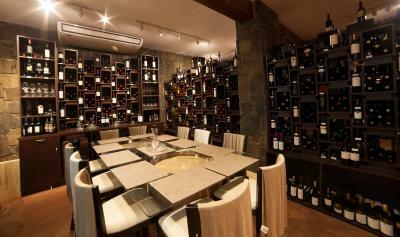 The highlight is the superb restaurant which provided some of the best meals we enjoyed in Argentina. Nothing is too much trouble for the reception staff. Great location to Iguazu Falls and from the Brazilian border. Rooms are exactly like they are in the pictures - modern, clean and confortable. Staff were friendly and the restaurant on site was delicious. Very good restaurant. Dinner was amazing. 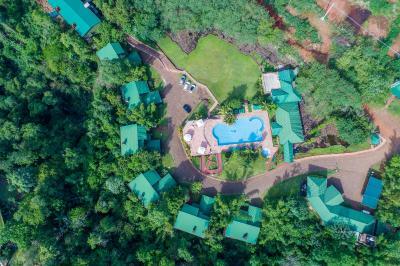 A beautiful resort in Puerto Iguazú. Easy walk into the city centre. Great base for exploring the falls and also to spend some time relaxing around the pool. Staff were very friendly and helpful. The view of the rainforest from the balcony was beautiful. 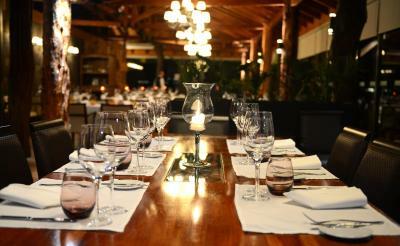 An excellent restaurant within the resort. Great room comfy bed. Service excellent,excellent restaurant.